Del B was born in Kano State, Northern Nigeria, to parents who are natives of Kwale. Tell us how your journey into music started? The journey into music for me has been like forever. I was born into a music family because my dad used to sing; he was a choirmaster. My sisters are very good singers too. When I was growing up, I used to see them as the best singers in the world because I heard them sing every morning and night. It was always beautiful and I think that was how I got my connection with music. So, since then, I came in contact with music and this is where we are today. I actually started with playing musical instruments like the bass guitar and others. Is there any connection between being a music producer and also playing musical instruments? Yes, there is. It helps you a lot if you are grinded musically. If you dont have the basic knowledge of music, you cant succeed as a music producer. If you dont understand it, it will be a little bit difficult for you to succeed in the game; it just makes it easier for you. You grew up in Kano State, did you witness any of the religious riots in Kano those days? everything we had to that crisis and it was a very sad tale. Prior to achieving recognition, he worked as a studio engineer at MidiCorp Studios. While there, he produced D’banj’s “Why Me” single. 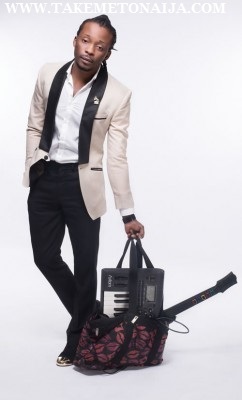 He recorded the chart-topping single by Kcee entitled “Limpopo”—the song that got him nominated at the 2013 Headies. He produced two songs: “Kind Love” and “On Top Your Matter” off Wizkid’s critically acclaimed studio album, Ayo. “On Top Your Matter” was met with positive reviews among music critics. It debuted at number nine on the MTV Base Official Naija Top 10 music video chart. It subsequently went on to top the charts for several weeks, earning Del B more recognition. Del B has been credited as producer on studio albums including Seyi or Shay by Seyi Shay; Testify by Harrysong; Ghetto University by Runtown; Take Over by Kcee; The Baddest by Davido; Blessed and Thankful by Flavour N’abania; and Ayo by Wizkid. Del B showed his versatility as a singer and producer after he released a single titled “Too Proud” in 2012 and went on to be featured on a song titled “So Nice”, by DJ Neptune, in 2015. Do you support the idea that producers should make musicians pay heavy for the beats they make for them? and gives it to the musician to sing.